The Walgreens Mobile App, already one of the most popular retailer apps in the marketplace with tens of millions of users nationwide, has garnered a particularly robust following among older people — a demographic rarely associated with mobile app adoption. Walgreens data show over 20% of its app users are age 55 and older, more than twice the percentage of industry averages. According to a 2017 survey by Forrester Research Inc., just 9% of all smartphone owners who use shopping apps at least weekly are 55 and older. 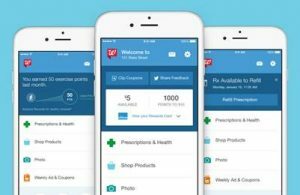 Walgreens credits its mobile pharmacy features, such as Pill Reminder and Refill by Scan, for much of its app popularity among older Americans. In fact, 37% of those utilizing its mobile pharmacy tools are 55 or older. By comparison, Forrester data show that only 10% of smartphone owners who use health and wellness apps at least weekly are in the 55-and-over category. Support of TouchID and secure auto-login, addressing a key obstacle for users who struggle to remember or locate user credentials, a greater challenge for less frequent users of such apps. Simplified menus, also welcomed by infrequent mobile app users unfamiliar with conventions that become familiar with use. A pill reminder feature helpful to older adults and seniors who are more likely to have multiple daily dosages to manage. Support for smartphones that offer font size options for apps. Balance Rewards for healthy choices that gives users shopper loyalty points if they use the app to track walking, cycling, weight management, blood pressure and more. The mobile app category with the highest proportion of weekly users 55 and over is news/media, at 16%, according to Forrester.